In February of 2015, President Barack Obama released his second National Security Strategy. In this document, he discussed the value of “strategic patience” in responding to the myriad threats facing the United States. This policy statement was panned widely by opponents of the administration, including allegations that the President’s document failed to even present a strategy . Senator Lindsey Graham added to this chorus, stating “I doubt [the Islamic State], the Iranian mullahs, or [Russian President] Vladimir Putin will be intimidated by President Obama’s strategy of ‘strategic patience’.” The problem with this criticism of the concept of strategic patience is that it mistakes action for effectiveness in foreign policy. Unlike a playground bully, the United States does not need to constantly reaffirm its willingness to use force to intimidate or influence the actions of its adversaries. The term ‘strategic patience’ originated as a strategy to deal with provocations by North Korea by refusing to return to negotiations with Pyongyang unless it was willing to make the first move and offer concessions first. What this policy recognizes is a fundamental fact of the post-Cold War security environment; that the status quo favors the United States. The U.S. dollar is still the international reserve currency, with all of the benefits such an arrangement provides, and the open and secure trade routes facilitated by Washington’s global military presence allow American goods to traverse the world. Preservation of this global arrangement should be the foremost priority of American foreign policy. American defense planners must find ways to counter threats posed to the United States in ways that protect its national interests without requiring constant deployment of significant U.S. forces. Missile defense provides an optimal solution to this problem by allowing the United States to preserve its access to strategic trade routes and protect allies in an efficient manner. 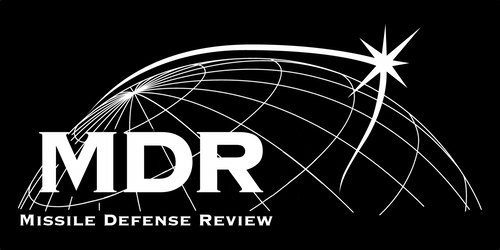 The alternative to comprehensive missile defense to deal with the world’s growing missile arsenals is preemptive action any time an adversary brandishes such weapons to threaten the United States or its allies. Such activities are not only unsustainable in terms of the strain it would put on American forces, but they also contribute to international perceptions of American overreach, which undermines American leadership. By using force that is often seen as excessive, the United States undermines its legitimacy as the leader of the international system, which could create opportunities for challengers to find sympathetic allies. With many nations developing mobile missiles, the task of locating and destroying these missiles in preemptive attack becomes even more difficult. This mobility, combined with the speed with which missiles can threaten high-value targets creates pressures for action at the first instance that use is threatened before mobile systems can scatter and hide. These pressures threaten crisis stability and create the possibility of conflict escalation, which is notoriously difficult to contain. Missile defense allows the United States to flip this calculus by allowing policy makers to resist the temptation to strike first, safe in the knowledge that any initial volley by the opponent would be repelled. An effective missile defense architecture also increases the costs opponents must bear to oppose American interests. Upgrading missiles with decoys and countermeasures will become more difficult with the planned investment in the Long Range Discrimination Radar, driving up the costs associated with fielding a credible missile arsenal. While these technologies seem cheap when compared to U.S. military budgets, they consume resources in the budgets of adversaries who have much less to spend. States like North Korea and Iran, which oppose the United States and the international system it leads, do so because at least in part it benefits their leaders domestically. In North Korea, opposition to the United States justifies a massive military budget that is used to maintain support for the ruling Kim family. Pyongyang stokes nationalist sentiment to solidify its and justify its continued measures of repression of dissent and internal opposition. In Iran, using Washington as a foil to consolidate domestic political authority is a tactic that dates back to the 1979 Islamic Revolution that replaced the Shah. Fortunately, this strategy is a losing one in the long term. Eschewing the benefits of the interconnected global economy has left both nations poorer and desperate for international attention. North Korea’s recent “miracle” test of an SLBM (which may provide more evidence of video editing skills than missile launch capabilities) and recent purges of military officers signal instability in the regime, forcing Kim Jong Un to attempt to consolidate his authority. The enhanced preparation for the collapse of the regime in Pyongyang by both South Korea and China also serves as evidence of the unsustainable nature of the status quo there. In Iran, divisions among hardliners and moderates are beginning to emerge, especially in relation to the ongoing nuclear negotiations. The Obama Administration’s patience in cultivating broad internationally supported sanctions resulted in the election of Moderate President Hassan Rouhani, opening the door for the current nuclear negotiations. If the regime in Tehran uses sanctions relief provided by an eventual deal with the Western powers merely to build missiles and fund proxy groups, it could face escalating protests from its people, similar to the previous Green Movement that emerged in opposition to the victory of the Mahmoud Ahmadinejad. While these assessments may seem overly optimistic, the Arab Spring should remind American policy makers that even the most outwardly stable authoritarian states can collapse at any time. Containing the threat posed by revisionist states that seek to overturn the status quo without being forced to adopt an outwardly aggressive stance allows the United States to allow domestic pressures in these counties to force them towards capitulation. Unfortunately, it does not seem that the Obama Administration appreciates the supporting role that missile defense can play in achieving the goals of its foreign policy. A prime example of this is the decision to terminate funding in 2009 for the Multiple Kill Vehicle, the Administration undermined a program that promised undermine current countermeasures to missile defense, which would have forced additional investment by North Korea and Iran to build a credible missile arsenal. Fortunately, the House Armed Services Committee included funding for a new version of the program in its FY2016 National Defense Authorization Act mark up, but the intervening years of lost research time mean the system will not be deployed anytime soon. These decisions are unfortunately symptomatic of an Administration that has been hesitant to invest in vital capabilities. Iran and North Korea will not be the last challengers to the American-led international order. The imperative for the United States to project power, created by the need to preserve stability across interconnected trade routes that span the globe, is unlikely to recede, meaning the Washington is bound to encounter regional adversaries that object to its presence into the future. Despite its significant advantages, the United States will not be able to respond directly to every provocation aimed towards it without overextending its resources. Missile defense provides a capability that allows Washington policy makers to exercise the patience required to conduct effective foreign policy while exploiting its position at the top of the international system.